Box Text: Get Behind the Wheel! Perform speed-boosting flips and wheelies with the flick of a Wii Remote, or grab a Wii Wheel for even more fast-paced fun! 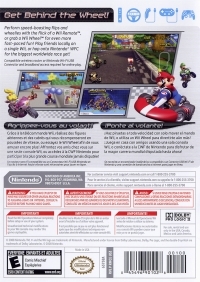 Play friends locally on a single Wii, or hop onto Nintendo WFC for the biggest worldwide race yet! Compatible wireless routers or Nintendo Wi-Fi USB connector and broadband access required for online play. 02-20-2014 badATchaos Box Text Get Behind the Wheel! 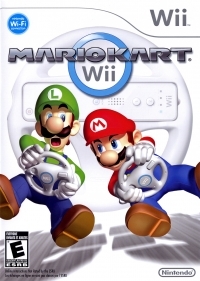 Perform speed-boosting flips and wheelies with the flick of a Wii Remote, or grab a Wii Wheel for even more fast-paced fun! 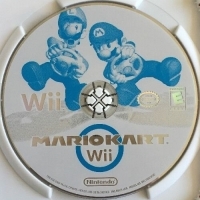 Play friends locally on a single Wii, or hop onto Nintendo WFC for the biggest worldwide race yet! Compatible wireless routers or Nintendo Wi-Fi USB connector and broadband access required for online play. This is a list of VGCollect users who have Mario Kart Wii in their Collection.